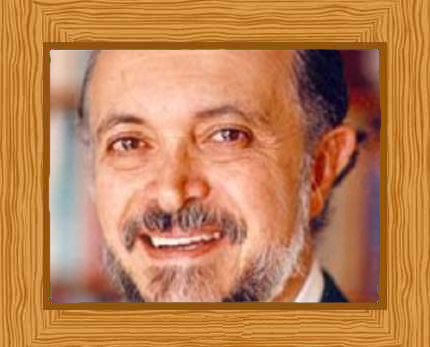 Mario Molina is best known for his role in discovering the Antarctic ozone hole. Together with F. Sherwood Rowland and Paul J. Crutzen he received the Novel Prize in Chemistry in 1995 for their 1970 research on damage to the ozone layer. He discovered how chlorofluorocarbon gases, or CFCs, deplete the ozone layer. He is also the first ever Mexican-born individual to receive a Nobel Prize in Chemistry. On the 19th of March in 1943, Mario Molina was born to parents Leonor Henríquez de Molina and Roberto Molina Pasquel. His father was a lawyer as well as a diplomat who served in countries such as Ethiopia, Australia, and also the Philippines. Mario showed an interest in science at a very early age making his own chemistry lab in their home by turning the bathroom into his laboratory and experiment area. He was fascinated by his toy microscope and through this he first viewed amoeba and paramecia. For hours on a daily basis, Mario would play with his chemistry set in the seldom-used bathroom in their house. Esther Molina, one of his aunts, helped foster his interest by aiding him with his more challenging chemical experiments. It had been a tradition in their family to study abroad for a time, and so Mario Molina with his love for chemistry, went to study at the Institut auf dem Rosenberg in Switzerland at the tender age of eleven years, after having completed his basic primary school education in Mexico. During his school years in Europe however, Mario was disappointed that his classmates had little interest in chemistry. Because he had already made up his mind to be a chemist, on his return to Mexico, Mario Molina took his bachelor’s degree in Chemical Engineering at the Universidad Nacional Autónoma de México or the National Autonomous University of Mexico in 1965. When he finished his undergraduate studies Molina went on to pursue his Ph.D. in physical chemistry. He had a challenging time because although his degree had given him training, Molina felt he needed a fuller, more rounded scientific education. He attended the University of Freiburg in Germany and obtained an advanced degree in 1967 studying kinetics of polymerizations. Continuing his studies after a year as working as an associate professor at his alma mater, Molina received his doctoral degree from the University of California in 1972. At the University of California at Berkeley, Molina was part of the research group led by Professor George C. Pimentel who was a pioneer in developing matrix isolation techniques. Their goal was to study the molecular dynamics with the use of chemical lasers. For his graduate work, Mario investigated the internal energy distribution in the products of photochemical and chemical reactions. After he completed his doctorate Mario remained for another year in Berkeley where he continued his research concerning chemical dynamics. He then joined Professor F. Sherwood Rowland’s group as one of the postdoctoral fellows and moved to Irvine, California. It was Professor Rowland who inspired Molina to research the effect on the environment of the industrial chemicals, chlorofluorocarbon gases (CFCs), which were accumulating in the earth’s atmosphere. With that project, Molina learned about a new field in chemistry;atmospheric chemistry. Chlorofluorocarbons were used as propellants in spray cans and in refrigeration units. They are highly stable compounds and were first developed in the 1930’s as a non-flammable alternative to dangerous substances like ammonia. They are hydrocarbons that contain only carbon, chlorine, and fluorine. Molina and Rowland devised the CFC ozone depletion theory together. Molina knew that as the CFCs drift up to higher altitudes, they are destroyed. What held Molina’s interest was what the consequences of these accumulated compounds would be. The scientists realized that as ultraviolet radiation decomposes the CFCs, chlorine atoms are produced which deplete the ozone layer. They found that a single chlorine atom is able to destroy around 100,000 ozone molecules before becoming inactive. Because of their findings, they were alarmed at how CFCs in the atmosphere would continue to deplete the ozone layer. Their findings concerning their ozone depletion theory were published on June 1974 in “Nature”. They also made efforts to inform policy makers, so that laws to protect the earth’s ozone layer through regulation of CFC use could be considered. A year later, Molina was appointed as one of the faculty members of the University of California, Irvine. While he still had collaborations with Rowland, he also began working on his own research. Molina established his own program for the investigation of spectroscopic and chemical properties of different compounds which have an important role in the atmosphere. The compounds he focused on included hypochlorous acid, chlorine nitrate and chlorine nitrite. While Molina had enjoyed his years in Irvine, it limited his time for doing experiments and after seven years with this academic position, he decided to join the Molecular Physics and Chemistry Section at the Jet Propulsion Laboratory 1982 in Pasadena, California. He was part of a small group and had the time and resources to conduct experiments of his own, especially those concerning new atmospheric problems. In 2004 Molina joined the Department of Chemistry and Biochemistry at University of California, San Diego and the Center for Atmospheric Sciences at the Scripps Institution of Oceanography. Mario Molina was awarded the 1995 Nobel Prize in chemistry with Paul J. Crutzen and F. Sherwood Rowland for their discovery of the role of CFCs in ozone depletion. Other than the esteemed Nobel Prize award, he also won the Esselen Award of the Northeast section of the American Chemical Society in 1987, the Newcomb-Cleveland awards from the American Association for the Advancement of Science, and the United Nations Environmental Programme Global 500 Award in 1989. The Pew Charitable Trusts Scholars Program in Conservation and the Environment gave Molina a $150,000 grant in 1990. In 1998, Molina received the Willard Gibbs Medal given by the Chicago Section of the American Chemical Society as well as the American Chemical Society Prize for Creative Advances in Environment Technology and Science in the same year. He has several honorary degrees from esteemed bodies of education such as Yale, Duke, and Harvard Universities. Molina is also received the Presidential Medal of Freedom on the 8th of August in 2013 from President Barack Obama.